I am pleased to announce the launch of our latest game changer best practice guide – The Member Value 2025 Project – a topic and a year that requires focus now! The Member Value 2025 Project was initiated to help membership organisations and associations take a more structured and practical approach to delivering and being able to communicate enhanced member value and relevance. This activity can be actioned as a dedicated project or incrementally (based on the time and resource available). Before I introduce the content, I would like to thank our Online Quality Assurance Group (comprising representatives of over 40 high profile membership organisations and associations) who helped to co-curate this resource. This work was carried out 100% online (for the first time!) and the participants are listed in the resource. Thanks also to our Official Partners, Silverbear and Cantarus, who provided thought leadership content and have enabled us to publish this resource completely free of charge. 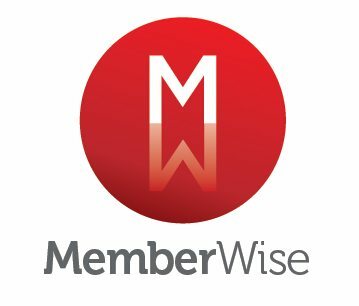 I should explain where the year 2025 came from – It is the year the Millennial generation (Generation Y) will account for 75% of the UK workforce and so as membership organisations and associations need to ensure members receive value in return for their annual subscription. We will explore generational analysis, needs and requirements in a future article. 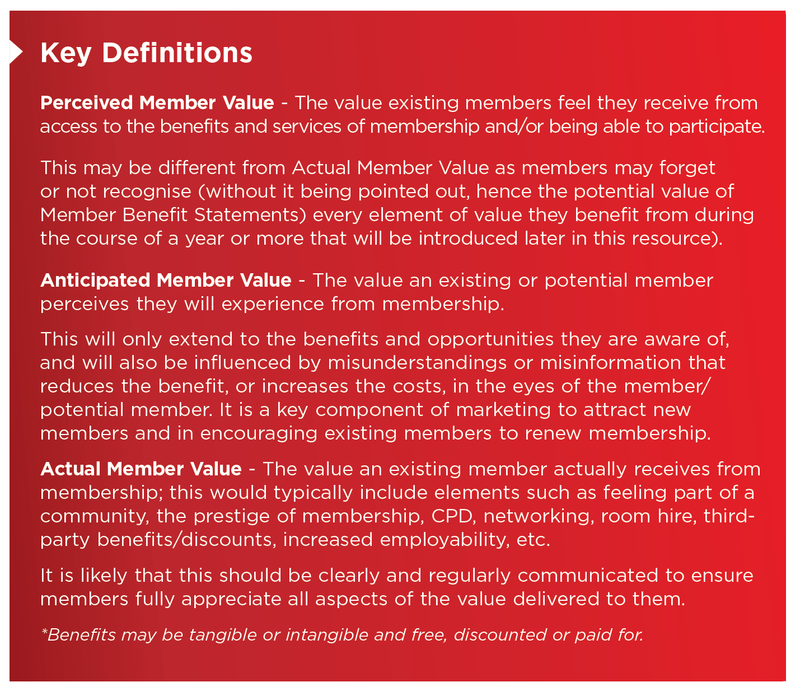 Before I explore the topic of member value it is important to establish some key definitions and core assumptions. a) If ‘Perceived Member Value’ can be clearly communicated, there is a stronger likelihood of engagement/participation from existing members and increased new member acquisition. b) If ‘Actual Member Value’ can be clearly demonstrated, there is a stronger likelihood of engagement, participation, renewal and potential transition to advocate status. 2) That value is delivered via member benefits tangible/intangible and these will deliver positive outcomes for the individual member and/or membership as a whole. Note: Please visit the Member Value and Engagement Hub for a full list of positive member outcomes. The converse is also true. If perceived or actual member value is low, or is not delivered, this will almost certainly have a negative impact on the number of new members acquired, member retention and referral rates. There are some exceptions to this rule as with organisations having to deliver on requirements not linked to the benefit of the member, e.g. regulatory bodies protecting the interests of the general public. The components of this calculation will almost certainly change based on the generational changes we will explore later in the Member Value 2025 Project guide. The requirement to generate member value will intensify over the next decade due to changes in a range of internal, external, demographic and social factors (outlined in the #MV2025 resource). Member value will transition from something that is desired to something that is expected by members. 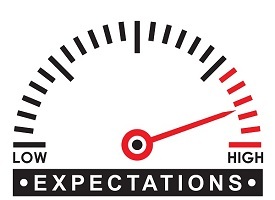 If the expectation of member value is not met there will be major future implications on member recruitment, retention, engagement, participation and growth. I hope that you have enjoyed reading this article which aims to set the scene for our series of member value focused articles. 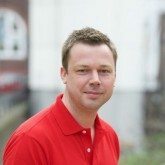 Next month I will explore the real value of members to membership organisations and associations.